23 tables of ten at a sit-down lunch. BasisPoint’s Significant Investor Visa events are now in its 5th year. Recent SIV statistics show 206 applications made in the 6 months to December 2016, meaning Australia is on track to take around 400 high-net-worth SIV migrants per year, generating $200m for VC funds, $600m for SmallCap funds and $1200m for balancing funds each year. As a comparison, there is just $450m in VC funds in Australia awaiting deployment (AFR 3 May), so $200m in SIV-VC funds is almost half of the VC funds available. The Assistant Minister for Immigration and Border Protection, The Hon. Alex Hawke, will give the keynote address. Tina’s HNW family is from China. She and her family are active in entrepreneurship, education, property development, and philanthropy. Her first business in Australia was in cleaning, before entering into sub-contract management & distribution and now property development and investment. Brad is a 3rd generation Chinese-Australian. His grandfather, Bernard Chan, migrated to Australia in 1967 from PNG. The family is in the BRW Rich Families List. Brad is CEO of the family company, Banna Property Group and is active in property investment, start-ups, and philanthropy. 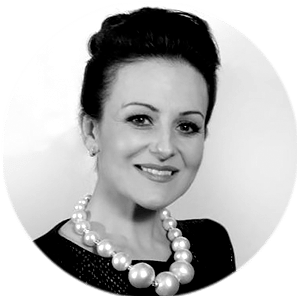 Anna is the CEO/Co-owner of Doltone House venue and catering collection, a second generation industry leading family business representing the post WWII wave of emigrants from Europe. She is also co-founder of the Biaggio Signorelli Foundation, honouring her late father to raise funds to seek a cure for Mesothelioma, asbestos cancer, a tribute to the family’s philanthropy. 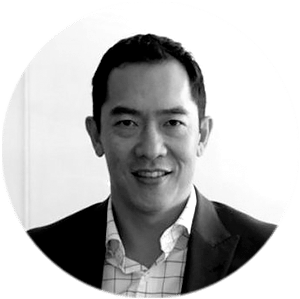 David is the founder of BasisPoint, established 20 years ago, to provide market insights, business connections, and investment platforms for the Aus-China & Aus-Asia institutional, wholesale and high-net-worth investment community. He was previously Head of Marketing at Sydney Futures Exchange (SFE), and is the author of Thy Fiefdom Comes, a fantasy/science fiction novel. Annie arrived in Australia from Northern China with her family during her high school education. 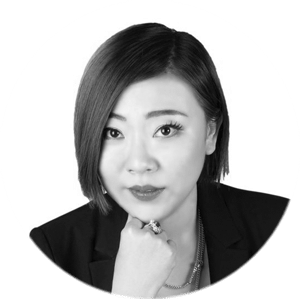 She co-founded Westlink Capital in 2011 as a platform to leverage her family’s networks to ultimately co-invest over $200 million from Chinese SOE & private capital into the Australian resources sector. She joined Columbus Minerals in 2012 as Managing Director when she secured equity capital from a consortium of investors to invest in gold assets in private & ASX listed companies. 200-300 senior executives, entrepreneurs and developers from corporations with Chinese-linked business, professional and financial services firms, fund managers providing SIV funds, banks, media, mining, agri-businesses, and property development. *Please note there are no same-day registrations for the event. Standard price registrations ($180+GST) close 11:59pm Monday 1 May, and final registration closes Tuesday 8pm, 2 May, with prices on that last day increasing by 10%. EFT payments available for corporate tables. Corporate tables of 10 will have their presence felt via logos on screens, table-top signage and mentions in the BasisPoint newsletter and website, with extra visibility for the two sponsors. Tables of 5 receive table signage (your firm’s name displayed). This event provides a leadership platform for the HNW Chinese Australian sector to discuss the importance of Chinese investments and integration in Australia. 12:35 Assistant Minister for Immigration and Border Protection, the Hon. Alex Hawke. 1:10 Anna Cesarano, CEO, Doltone House, shares her story of the family’s migration to Australia from Italy, and their successful business and charity work. 1:25 Panel discussion comprising three high-net-worth first, second and third generation Chinese Australians – Tina Teng, Brad Chan, and Annie Guo. They will talk about investments, and the importance of the Chinese business & social contribution to Australia. Panel discussion comprising Tina Teng, Brad Chan and others to be announced (40 minutes). They will talk about investments, and the importance of the Chinese business & social contribution to Australia. Tina is active in entrepreneurship, education and property development in Australia and China. Her family helped establish the Aidi International School in Beijing in 2005 as the nation’s first modern international school with backing from both the Chinese and Australian government. It now has 3000 students with 80% of students moving to top global universities. As an entrepreneur, she established her first business in 2002 in the cleaning sector, before expanding into sub-contract management services to Chinese mining firms in WA as well as becoming a distributor for HK listed footwear company Staccato. 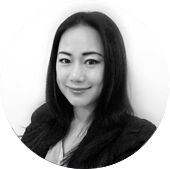 She is currently working on a joint venture with Pindan, a major Perth-based national property development company, and facilitates HNW Chinese investment into Australia via her Auswealth Group. She plays a key role as an Australia-China bridge in commerce, politics and philanthropy, in promoting Chinese culture to the West as well as supporting a range of charities particularly in Perth where she now resides. She won first runner up in the inaugural 2016 Mrs Chinatown World Pageant in Perth against 40 international and local contestants. 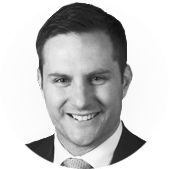 Brad comes from a 3rd generation Chinese-Australian family business involved in property investment and development, primarily in shopping centres and commercial property. His grandfather Bernard Chan migrated to Australia from Papua New Guinea in 1967 and the family is regularly in BRW’s Rich Families list. The Chan family started from humble beginnings – a general merchandise store in PNG that later ventured into coconut growing. The businesses were destroyed in World War 2 but were eventually rebuilt and evolved into cocoa and copra plantations, shipping and real estate. Investments into Sydney started in the 1950s. Brad established the Banna Property Group in 2009 to manage the family assets. The family has also established HaymarketHQ, a Sydney-based not-for-profit start-up incubator to help young Australian firms to capture opportunities in Asia, as well as the Banna Foundation, the family group’s philanthropic arm. Brad was President of the Haymarket Chamber of Commerce for five years. He has a Bachelor in Applied Science (Land Economics), Post-Graduate Diploma in Finance and Investment, Masters in Real Estate and Masters of Town Planning. Annie arrived in Australia from Northern China with her family during her high school education. She faced the challenge of a new language and culture, which she quickly embraced. During her Australian education, she accompanied her father to investigate the family’s agricultural investments in Tasmania and mining investments in Western Australia. After 10+ years at PwC, she co-founded Westlink Capital in 2011 as a platform to leverage her family’s networks to ultimately co-invest over $200 million from Chinese SOE & private capital into the Australian resources sector. She joined Columbus Minerals in 2012 as Managing Director when she secured equity capital from a consortium of investors. Under her direction, Columbus has made successful investments in gold assets in private & ASX listed companies, including Dampier Gold Ltd.
Annie has in-depth experience in Australia/China capital markets, M&A, corporate advisory and executive management of public listed companies, with a particular focus on Australia resource sector investments. 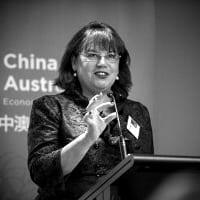 She brings a solid understanding of important Australian/Chinese cultural, technical, operational and business practices and how these differences can be sensitively managed in Australian/Chinese business relationships. With an extensive career in financial services and private wealth management, today Stacey Martin assists wealthy individuals and SME’s navigate Aus-China business opportunities. This includes market entry with the Dearin & Associates International Business Accelerator, connecting Australian food producers to strategic investors through the Farms and Finance platform and supporting services SMEs via the Australian Services Roundtable. Her professional network Expat Advisors Community compiled the Significant Investor Visa (SIV) educational booklet “Smooth Road to Travel: China to Australia” bringing together a range of professionals with international expertise to deliver integrated solutions for Chinese migrants. As host of the Aus-China Business Channel on SME Radio, Stacey is a sought after speaker and event moderator. Alex was elected at the 2007 election as the Federal Member for Mitchell, an electorate centred on the Hills Shire in Northwest Sydney. In September 2015, Alex was appointed to the first Turnbull Ministry as the Assistant Minister to the Treasurer. Following the 2016 Federal Election Alex was appointed the Assistant Minister for Immigration and Border Protection. Alex holds a Masters of Government and Public Affairs and a Bachelor of Arts degree from Sydney University. He has also served as an Army Reserve Officer. Arowana International is a specialist investor and operator in the emerging SME companies space and has deep expertise in “scaling up” companies. Since its establishment in 2007, Arowana has led investments ranging from A$1 million to over A$60 million across private and public vehicles with total equity invested of approximately ~A$200 million. These investments in aggregate have delivered a gross IRR in excess of 30% across both realised and unrealised investments. We are differentiated in that we know not just how to buy and sell businesses but we also know how to run, fix and grow them. Our team is a unique combination of highly experienced entrepreneurs as well as investment and operational professionals with strong track records and a “hands on” orientation. Arowana’s core investment philosophy is based on fundamental value investing principles with an activist and ethical orientation. One Investment Group is Australia’s leading provider of Responsible Entity, Trustee, Custody Fund Account and Registry services. One Investment Group is responsible for numerous funds with a wide range of underlying asset classes including infrastructure, real estate, equities, credit and fund of funds, working alongside numerous domestic and international investment managers. 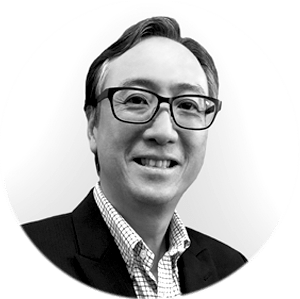 One Investment Group was established in 2009 and has quickly risen to become Australia’s most trusted provider of fiduciary and administration services to Fund Managers and Investors. One Investment Group is responsible for more than 200 funds and $15bn, and is the only provider in the market that is able to provide both a comprehensive outsourcing solution or a single service to managers. Migration Alliance is a membership organisation made up of Registered Migration Agents with the aims of leading the migration advice profession through the provision of expert advice to Government and consumers, amongst other objectives. ACB News aims to provide Chinese Investors all over the world, especially the investors from China mainland (in both institutional and individual ) with latest Australian Business & Finance news report, updated Industries analysis & commentary and government regulation , with major focus on ASX Listed Companies and industries including Mining, Agriculture, Food, Beverage, Property, Education and Tourism and potential investment opportunities.